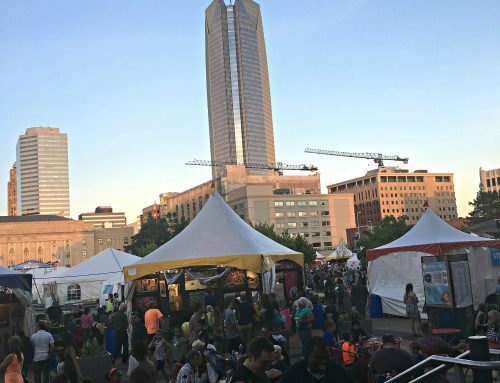 Here in Oklahoma City, we have an incredible Asian District. Mr. 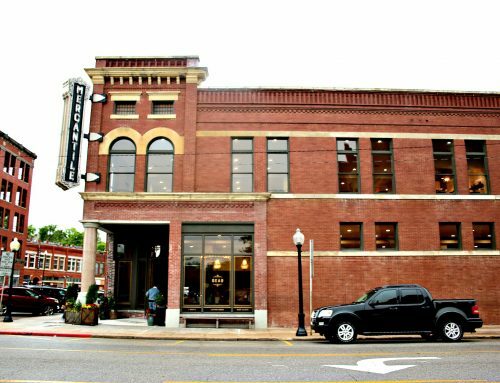 Wonderful and I venture off to it often to eat at some great restaurants where we indulge in Pho, Thai, Dim-Sum, Bánh mì, and more great food. What I really, truly love in the Asian District, however, is our Asian market. Specifically, Super Cao Nguyen. 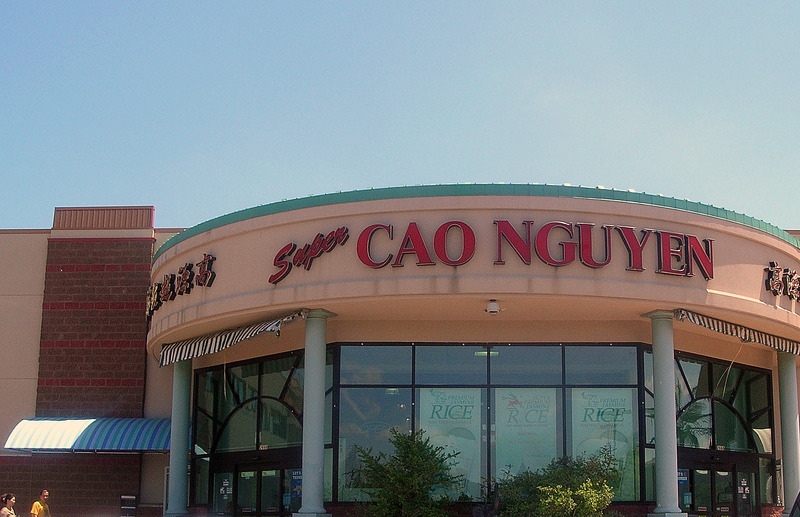 Ahhhh, but Cao Nguyen does. It’s important to realize when you go to an Asian market, that you’re not going to be able to read a lot of the stuff. 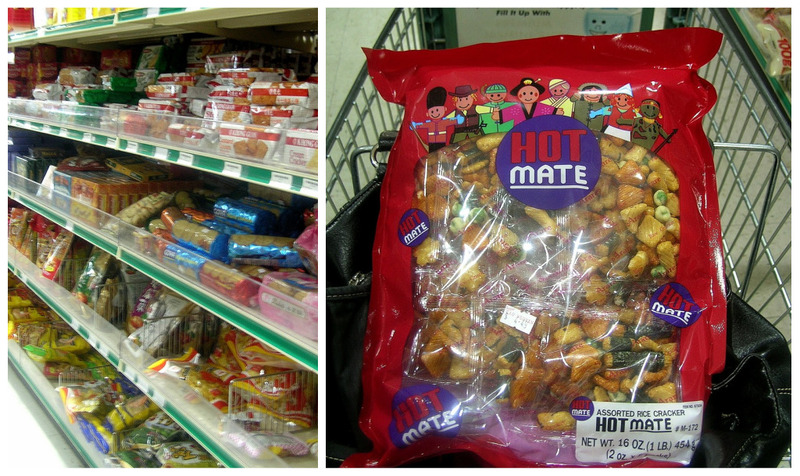 The first time I went to our huge Asian market, I was overwhelmed. Many of the items are imported from other countries and the labels aren’t in English. In the same regard, many of the shelf tags aren’t either. For instance, when browsing through the produce, many of the herbs and such are in the language of those who use them most. You might see Cilantro, but it will be labeled “Ngò”. So what to do when you’re looking for something specific? #1 Ask for help if possible.. This doesn’t always work in our market, as there aren’t often workers in the aisles. I have, however, asked a learned-looking Asian shopper for help, and they usually will point you in the right direction. #2 Do some research in advance. For example, when I started making Pad Thai, I needed tamarind pulp. I Googled it, and then clicked on Google images which gave me lots of pictures of different brands. I had an idea of what it would look like when I got to the market. #3 Make your first trip when you have plenty of time. 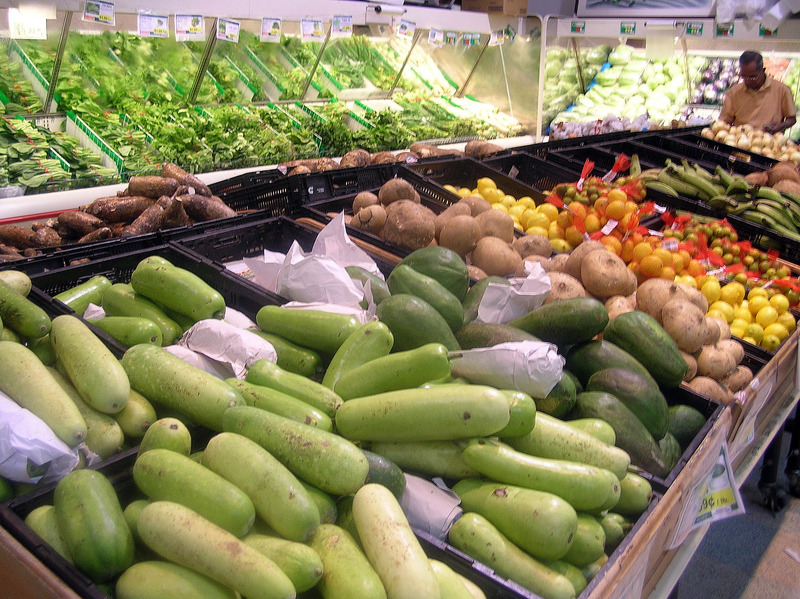 Browse through the market slowly and acquaint yourself with the various aisles, meat, produce and other sections. Once you have a clear concept of the layout of the store, you can then make a rough guess as to where something will be. For example, once I found the sauce aisle, I knew I could find dark soy sauce, sambal oelek, fish sauce and other sauces I needed. Once I figured out that one aisle housed Japanese food, I knew to get my sushi nori there, which reminds me to tell you that usually, the aisles are also broken down into ethnicity, so depending on what you’re cooking, you can look for signs for that. Now, me take you on a brief tour of this market. Upon entering, you will be greeted by the smells of fresh churros being made. They are hot and sprinkled with cinnamon sugar and the smell just kills you! So, if you can struggle past that smell without stopping to buy one, you’ll see an entire section to your right of Asian candies, dried fruits and cookies. Just past the sweets sections lies the ..umm…deli? But it’s not like any deli you’re used to. 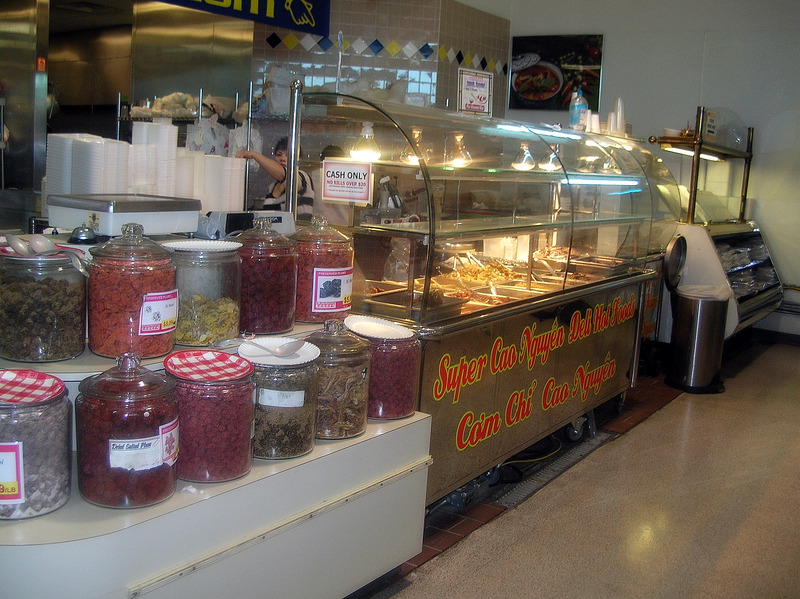 Here you can buy cooked food, dried salted plums (Mr. Wonderful loves these! ), and fresh whole deep-fried tilapia. 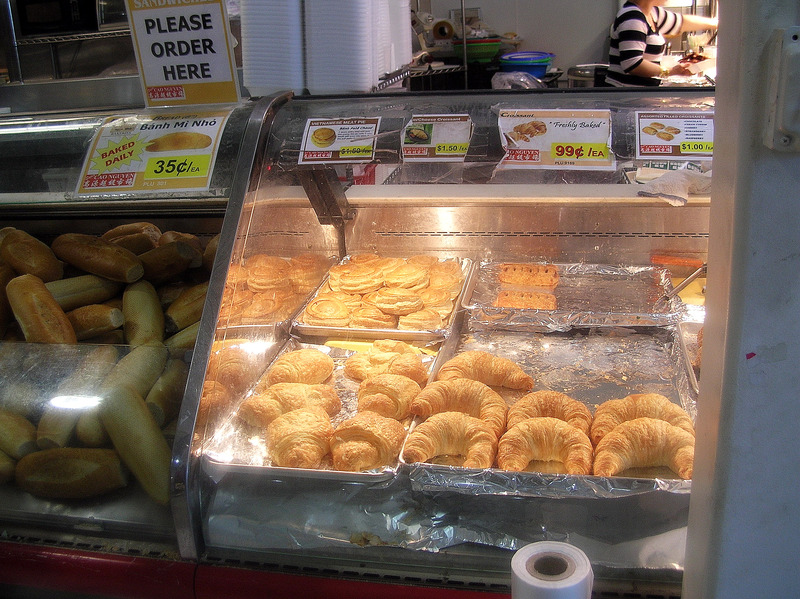 Walk a little further and you can buy freshly baked buns for Bánh mi. And you can find Korean kimchi, in a variety of styles and flavors. Or perhaps you want some sushi or seaweed salad to take-out for lunch? Yes, there’s an ap for that as well Ladies and Gentlemen. Continuing on, to your left you will see some things you might not recognize. 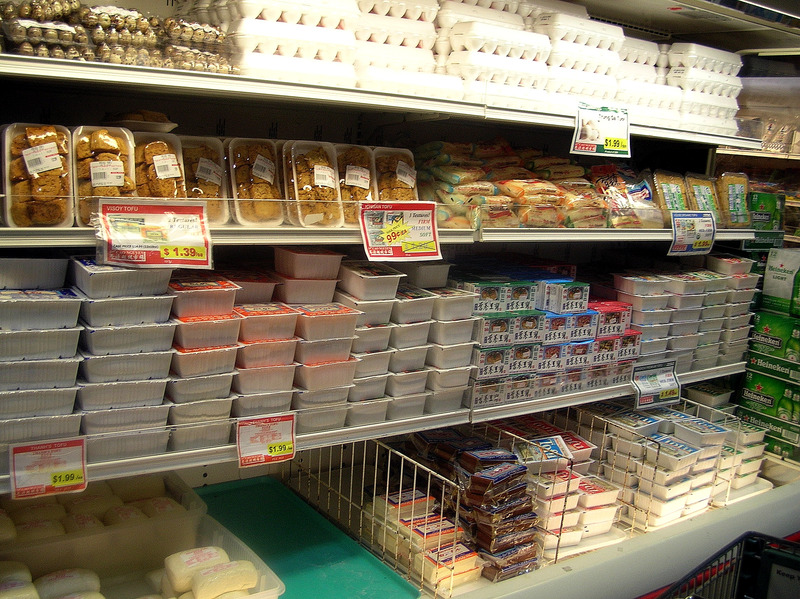 Like duck eggs, large packages of pickled ginger, and large bins with fresh rice noodles in them. Next, you’ll arrive at the produce section. I love the produce section. 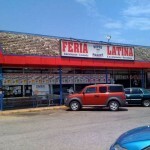 Things are very inexpensive here and you can find some super great things that you won’t find in your ordinary stores. 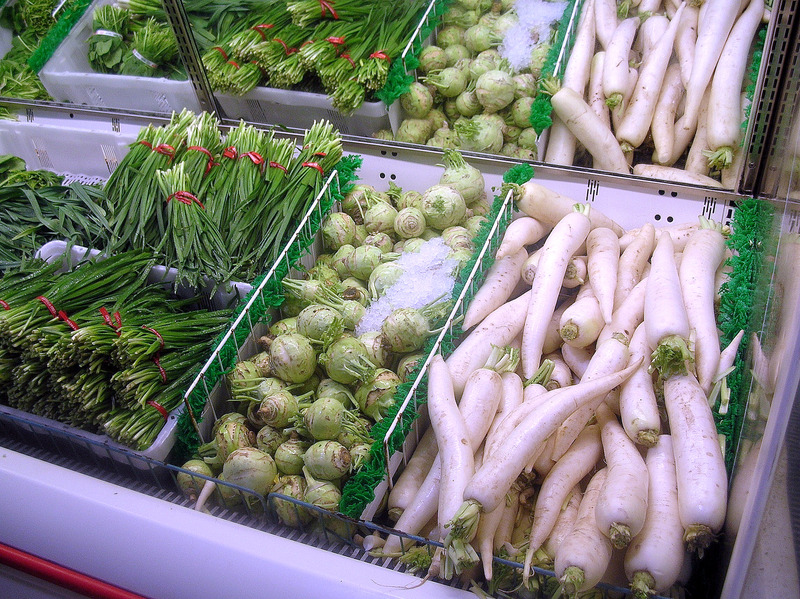 Things like daikon, kohlrabi and Chinese garlic chives. 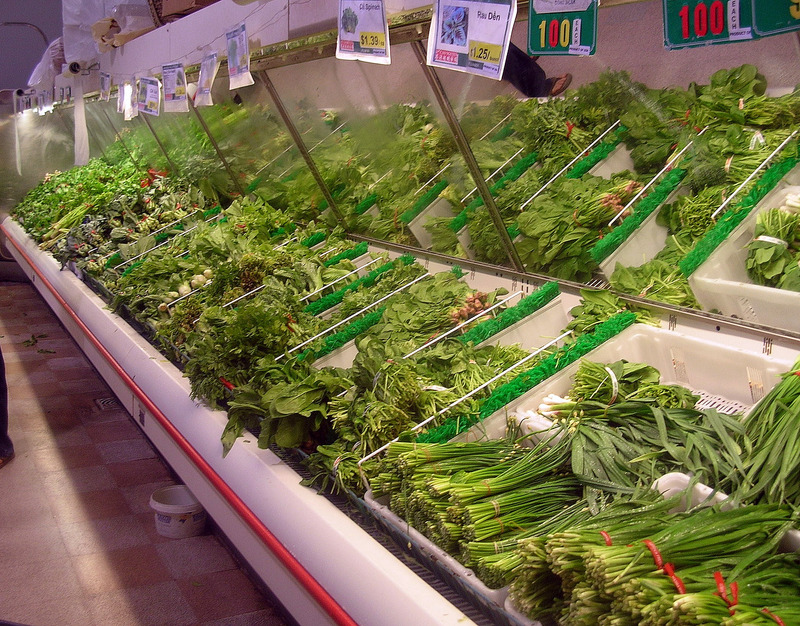 Things like watercress, chinese spinach, a variety of baby bok choy, mint and other things I have yet to discover. I love to pick up the large bags of shallots in this next section. 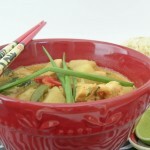 It also houses taro root, different types of sweet potatoes, green papaya, yucca, and lemongrass. As you turn the corner, you will see an entire section filled with peppers, jalepenos, thai style, red pepers and green peppers. These are cheap my friends…way cheaper than my grocery store. 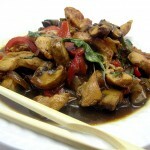 You will also see about 10 varieties of mushrooms, which makes me very happy, being a mushroom fan. 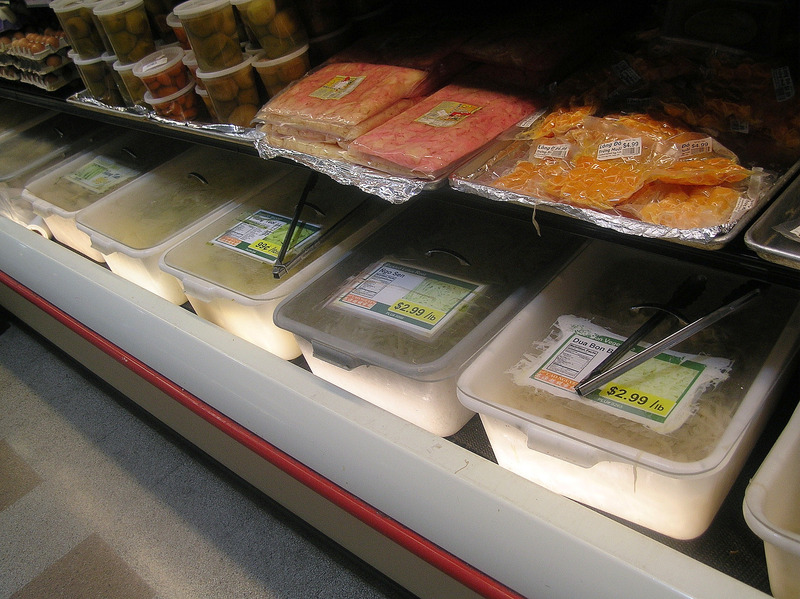 Another cooler section nearby contains eggs and tofu. 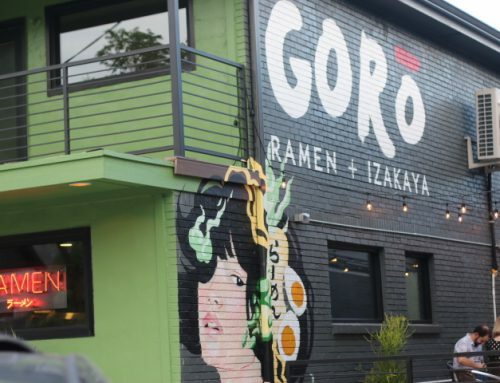 You can even get already fried tofu, and …look way up in the top corner of this picture – quail eggs! 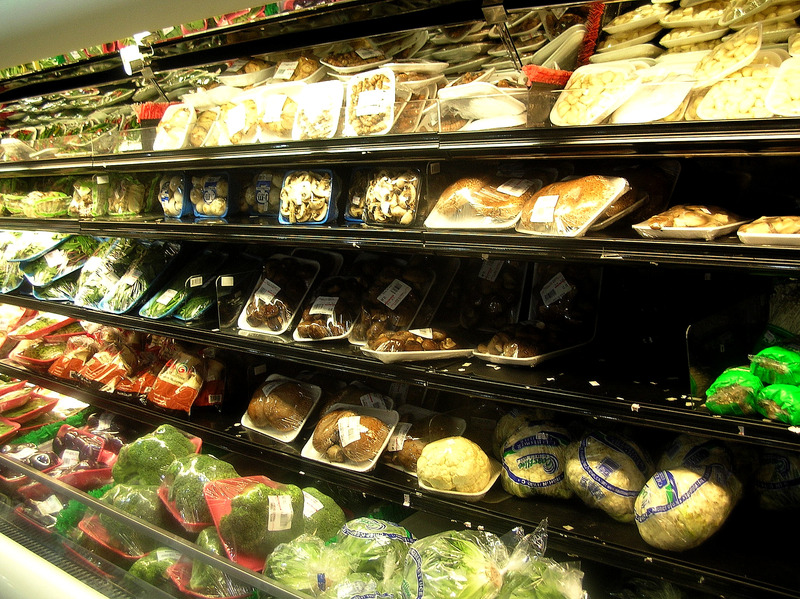 There is a whole other long aisle of refrigerated stuff as well. 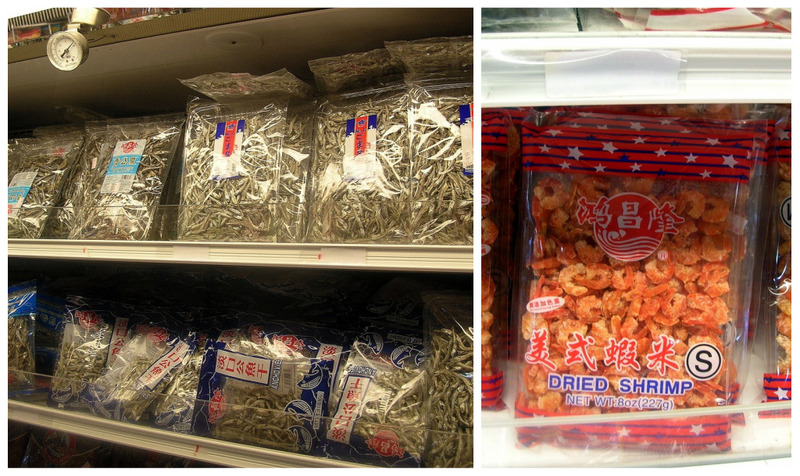 Stuff like dried shrimp and anchovies. 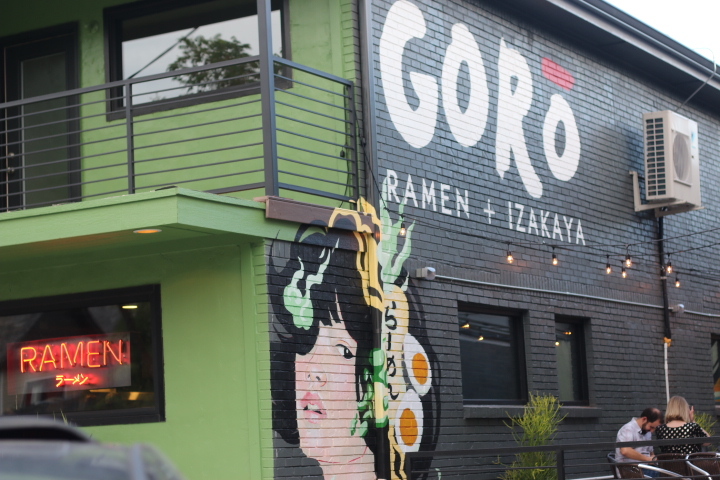 And there are an endless supply of choices of miso and fresh packaged rice noodles. There are also a million different kinds of exotic drinks, none of which I know anything about…sorry. Anyone know about these? And I always have to get some yummy edamame. There is also an entire row of frozen steamed buns with various fillings and potstickers. 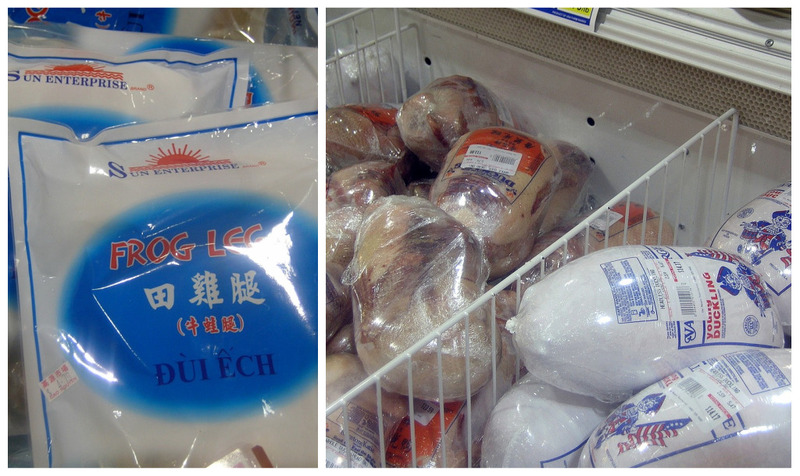 Or perhaps you want a whole frozen duck or some frog legs? 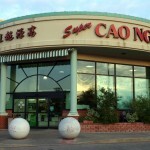 Yep, they have them at Cao Nguyen. This is the other hidden gem of the Asian Market. 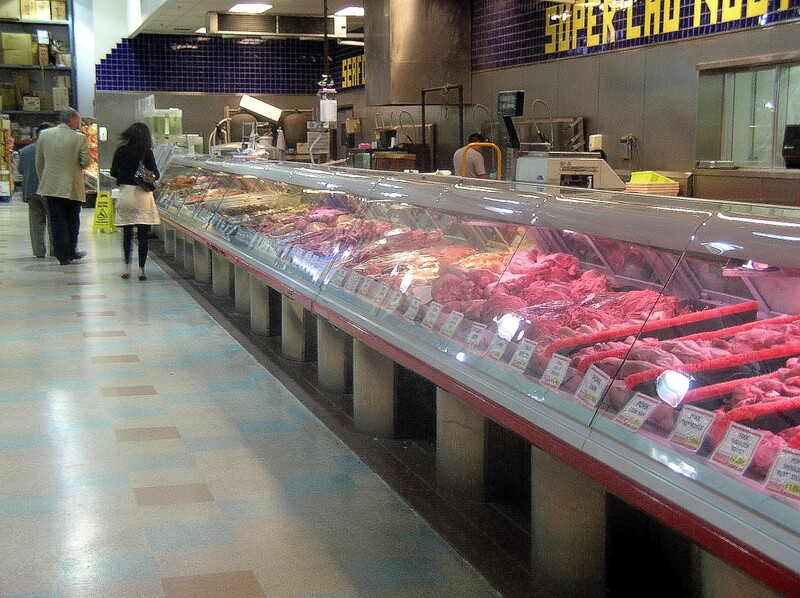 The meat department. I mean, this sucker is LONG. The closer end holds every kind of beef, pork and chicken that you can think of. And I mean every kind! You will find everything here from finely ground or coarsely ground pork, pork belly, flank steak and, yes, even oxtails. You’ll also find a few other things, like fresh pig snout. ears and feet and chicken feet. I don’t typically get those, but they sure are fun to look at! 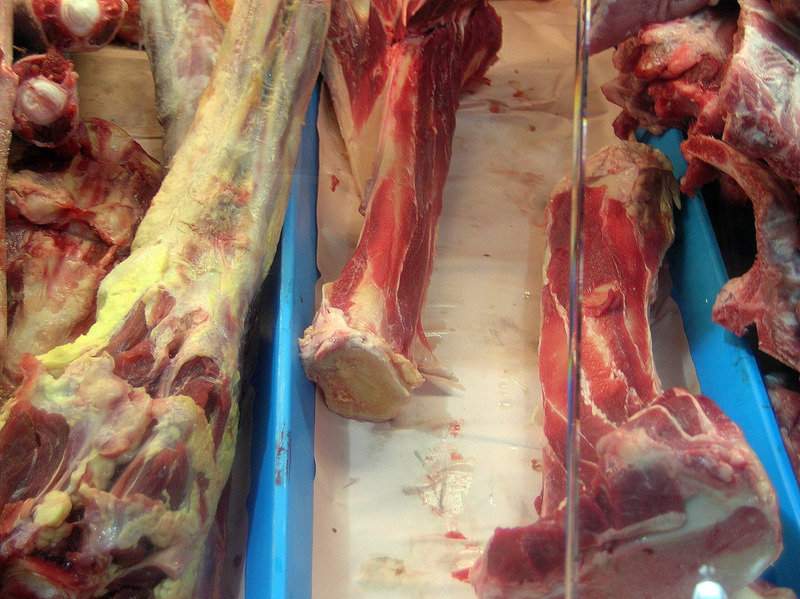 The other end of the meat counter is the exciting end. Want fresh fish? The best sushi grade tuna you can find? 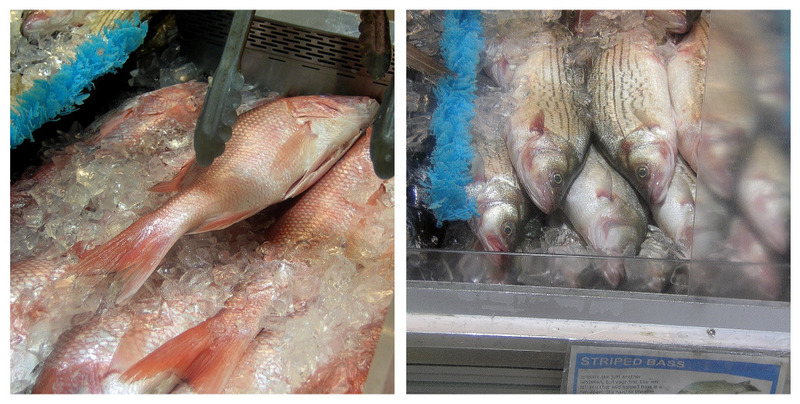 There is even whole red snapper and striped bass today. Sometimes you can get Dover sole or even Chilean sea bass. Nice! And it doesn’t get much fresher, or scarier than this. 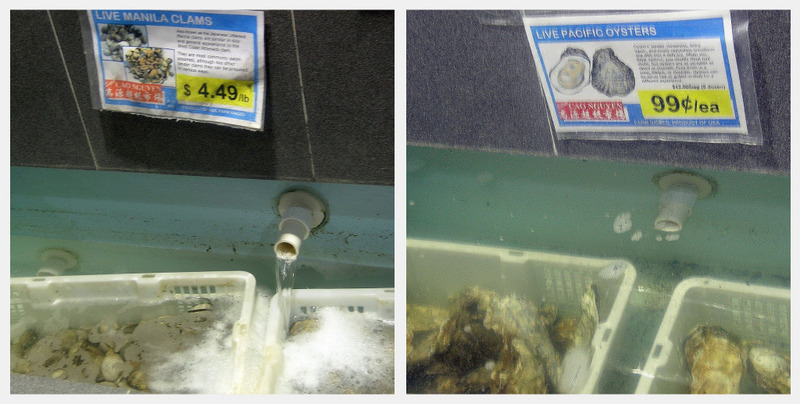 Or how about some , snails or Manilla Clams? Yep you’ll find those too! 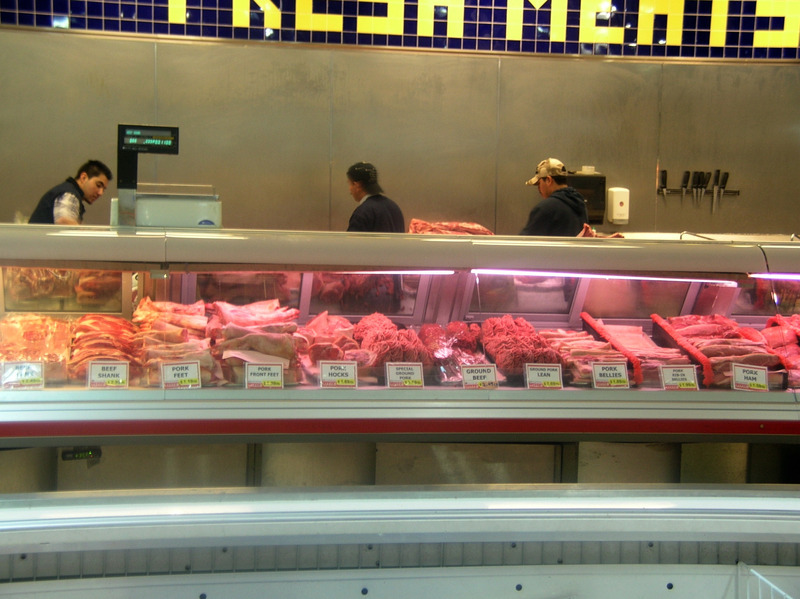 The meat counter also has several varieties of fresh shrimp, from head-on, to prawns and also shrimp and lobster balls for soups. There is also a huge frozen section of just shrimp and fish. And I haven’t even made it to the other end of the market. I”ll try to shorten the trip by giving you some collages to look at. There are plenty of housewares, including chinese dishes, sushi sets, steamers, mortars and pestles and cookware. Need rice? You have a huge selection of choices and these large bags will last you forever in your favorite variety. We usually get the jasmine rice in a 30 pound bag for around $12.00. There is also an entire aisle for tea and coffee. That coffee on the end? You have to try it if you see it! More on that on a future post! 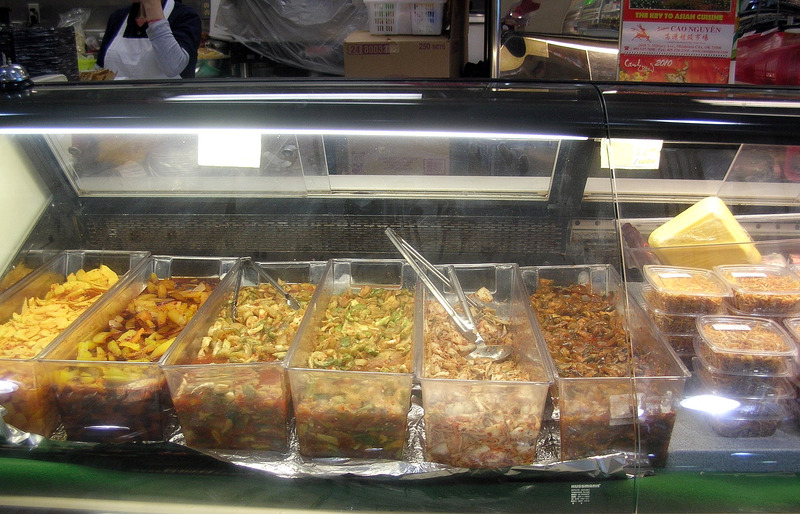 One of my favorite aisles holds at least 10 different kinds of curry pastes. Another aisle ….rice noodles and sushi wraps in every size, even these cute little squares for when you eat Korean bulgogi. 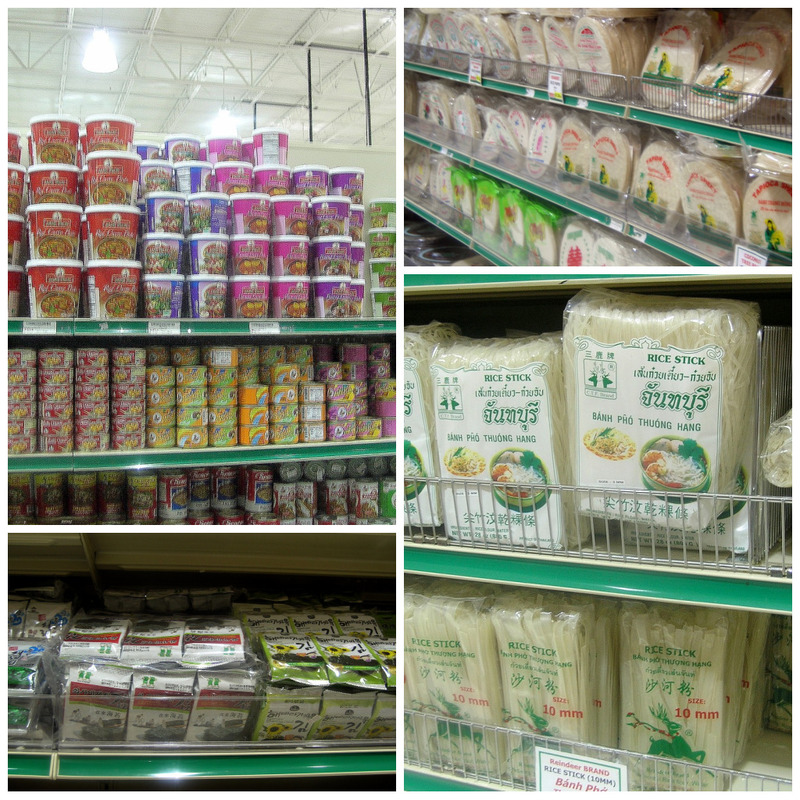 Another aisle….rice paper for making egg rolls and spring rolls. And before I leave, I have to visit the “snack” aisle and get Mr. Wonderful some of these asian cracker packages. He loves the hot variety. I would be remiss in this post, as a non-asian person if I didn’t tell you that you are going to see some things that aren’t “normal” to you. You will experience new smells, mostly because of the fresh fish in the back. You will see things like duck eggs, or Balut, with partially formed ducks inside. 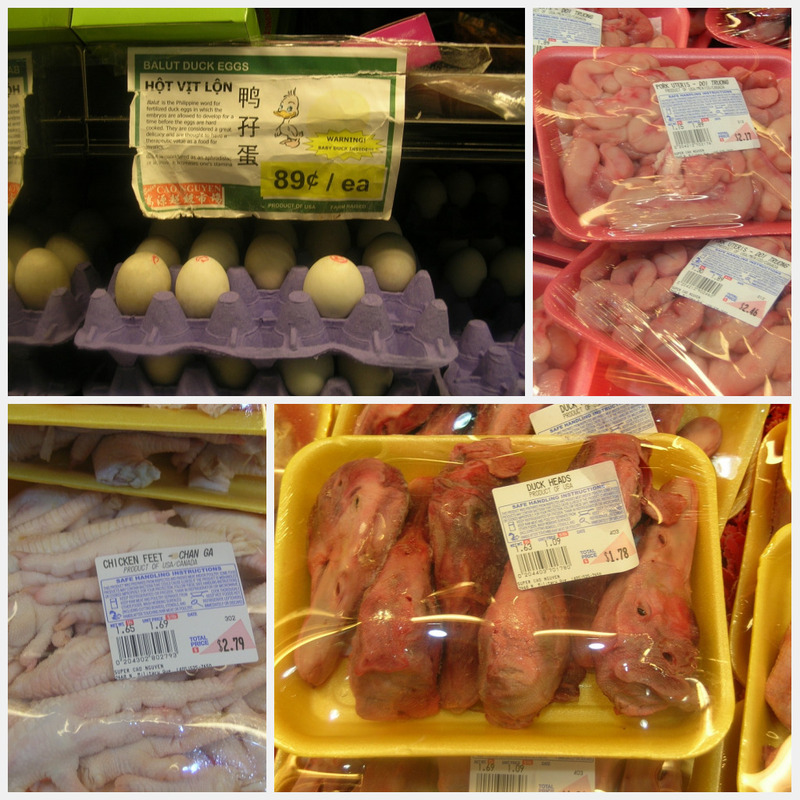 You will see chicken feet, intestines and even possibly a 6-pack of duck heads. It’s important for you to remember that while this is not your culture, it is someone elses and not to make a big deal in public, for risk of offending the culture. Some of these things are delicacies in another culture. Remember, Asian people probably want to oink when they see you consuming things like super-size french fries, but they don’t. So be respectful. And don’t let something “different” scare you off from what can be a new culinary adventure for you. 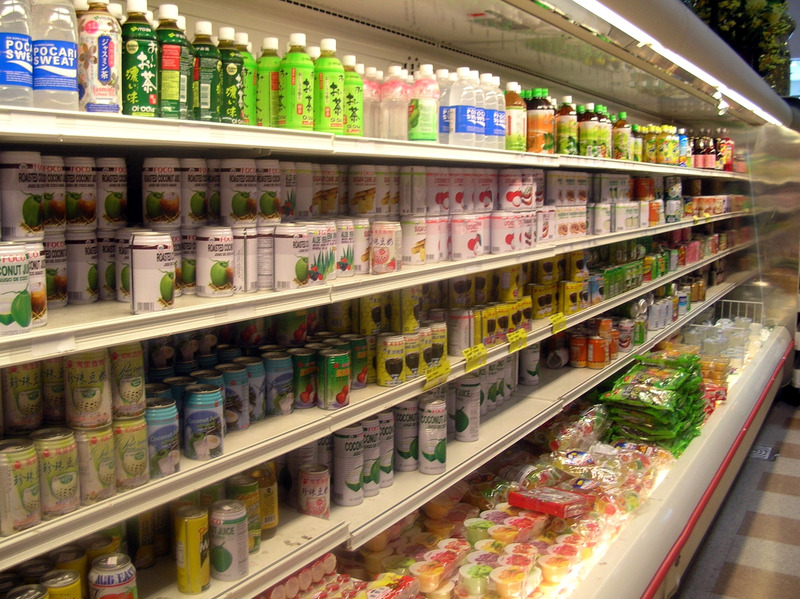 Do you have a local Asian market? I challenge you today to venture forth, and experience the magic of finding exotic ingredients, trying new recipes and submersing yourself into a different culture. 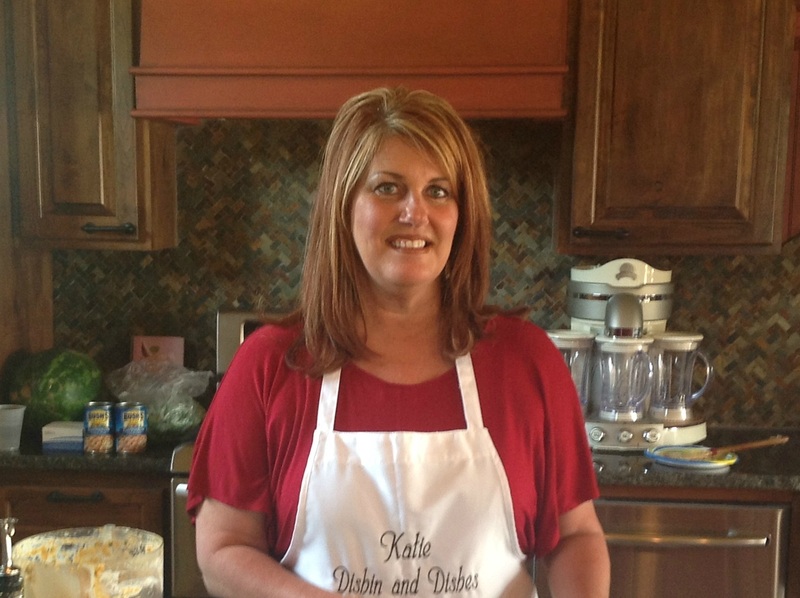 The foods you make bring new flavors to your palette and a smile to your face. 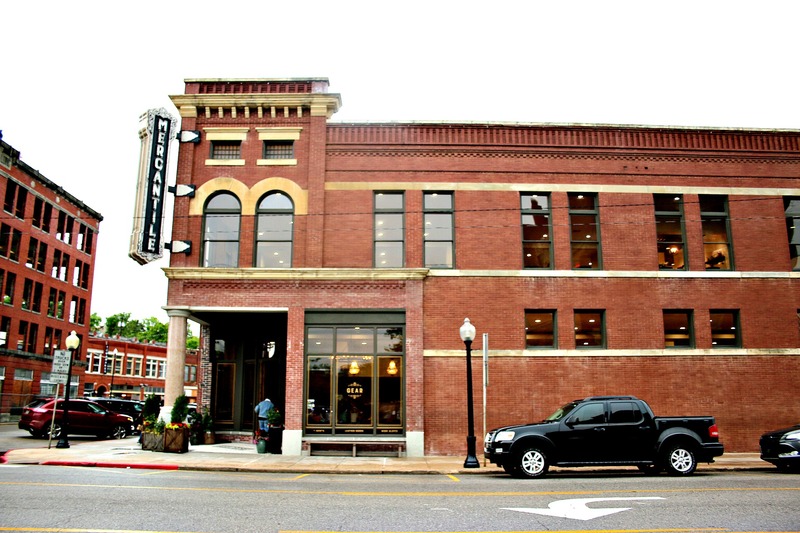 Want to read about more interesting Oklahoma stories? 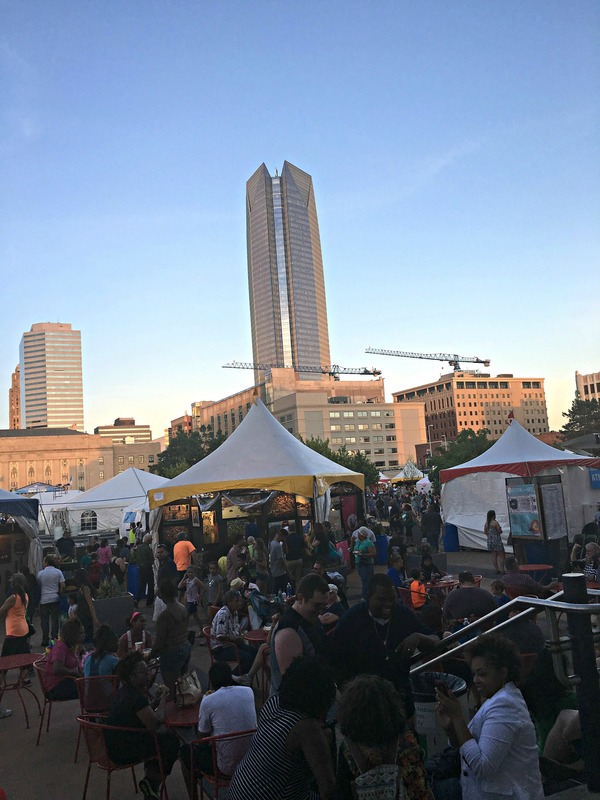 Head over to Cheryl’s site at The Prarie Maid to read more where other Oklahomans are posting memories, and stories about Oklahoma you may not have heard! 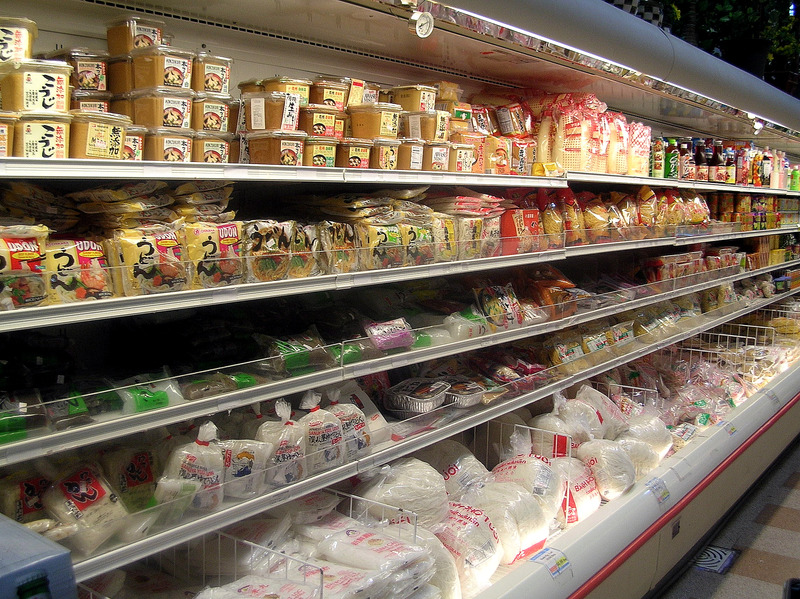 I absolutely love our Asian Market, but I need to look for another one now, because the one I go to doesn't even COMPARE to the one you gave us pictures of! I'm in Houston, the 4th largest city in the US, so there's gotta be some better markets! LOL Thanks so much for sharing. I think you 2 should definately come and do that! Anytime, you just let me know! Wouldn't we have fun! 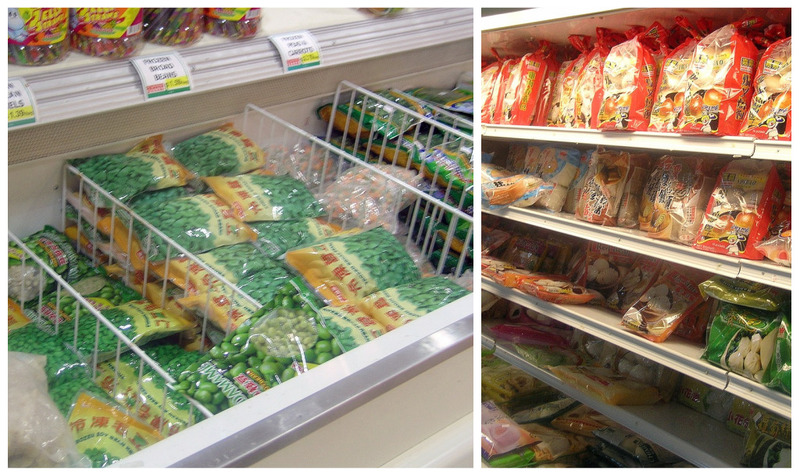 When we were studying Japan, we went on a field trip to the Asian Market. We had so much fun. The boys were impressed with the huge fish in the meat market! *smile* Great post! Have a wonderful weekend, Katie! Wow, what a great post Katie! I had no idea the variety was so...huge. I applaud your editorial comment at the end. I have to admit I can be the one to react without thinking who it might offend. 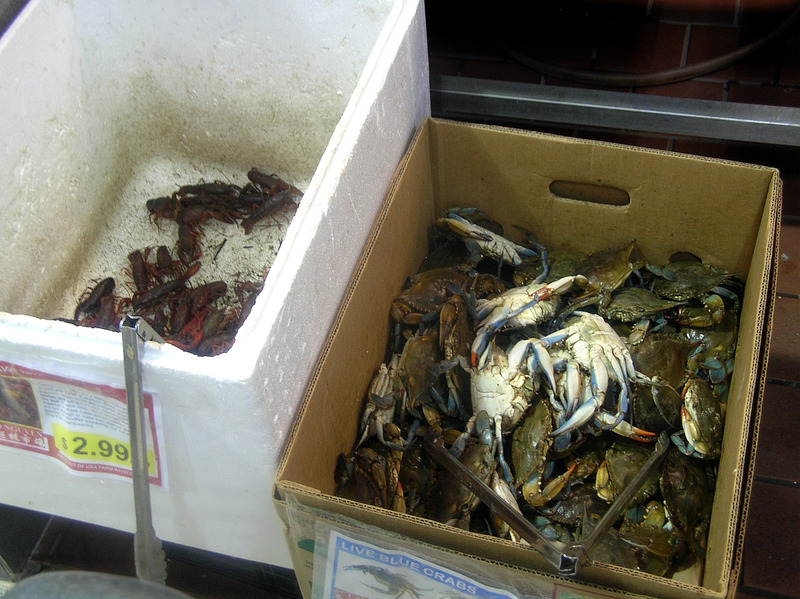 Tricia and I walked through Chinatown in San Francisco and was amazed at the foods we had no idea even existed.